David Court was born and resides in Coventry, UK with his patient wife and his three less patient cats. A few years back David achieved minor internet notoriety under the pseudonym FoldsFive for his animated GIFs telling the entirety of the Star Wars Trilogy, a fact that he's still jolly well proud of and insists on telling anyone at any opportunity. When not reading, blogging angrily on www.foldsfive.co.uk, drinking real ale, writing software for a living or practicing his poorly developed telekinetic skills, he can be found writing fiction. 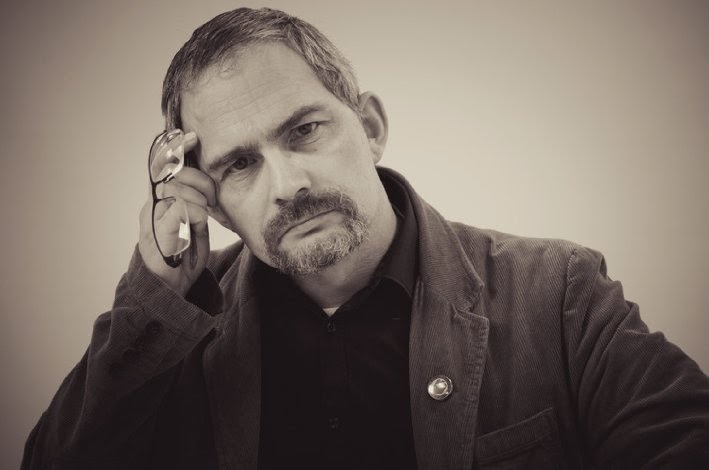 His short stories "A Shadow Cast by the World" and "Undercurrent" were published in the horror anthologies "Fear's Accomplice" and "Terror at the beach" in 2014. His first collection of short stories - "The Shadow Cast by the World" was published in 2013 with "Forever and Ever, Armageddon" released a year later.